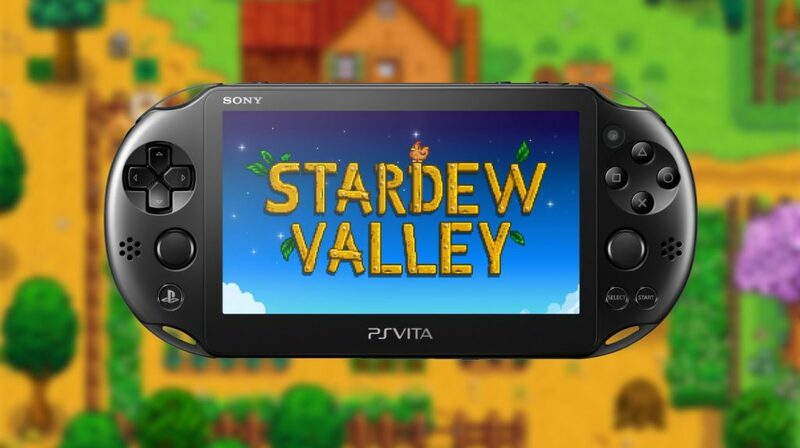 Stardew Valley will be coming to PS Vita on May 22nd! It will be cross-buy, so you’ll only need to purchase one copy to play on both your PlayStation 4 and your PS Vita. This also means those of you who already own the game on PlayStation 4 will now be able to download the PS Vita version too! I look forward to hearing about your experiences in Stardew Valley. Just want to give you a quick fill-in on the status of the new update. 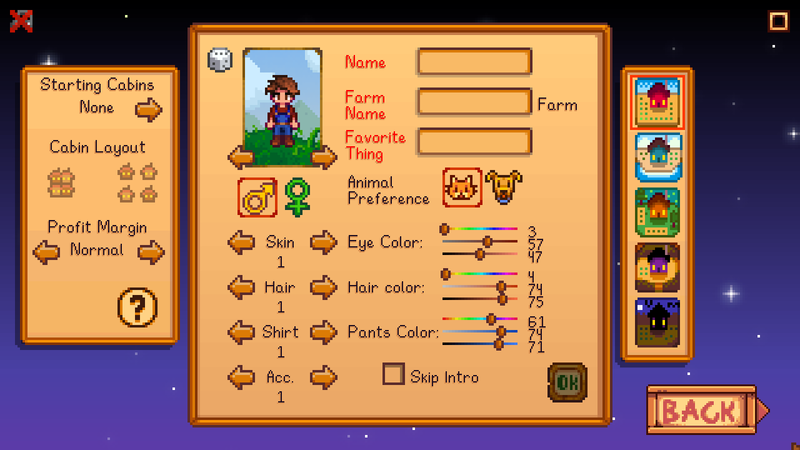 As you may know, I’ve always worked solo on Stardew Valley. However, for this multiplayer update I’ve had the help of Tom Coxon (of Chucklefish). He’s done all the network coding to turn Stardew Valley into a multiplayer game… truly an impressive feat, and one that would not be possible without his talent. He deserves a lot of credit for this — Thank you Tom! Work on the new features is done, and we’ve sent all the new text off to be translated into the different languages. Meanwhile, we are working on bug fixes. Once we’ve received the translated text and integrated it back into the game, we’ll begin a serious QA phase involving thorough testing of all new features in both multiplayer and single player contexts. When that is finished, the update should be ready for a public beta. I am still shooting for a spring release for the beta. When the beta gets closer to launch, I’ll fill you guys in on more specifics as to how multiplayer will work, as well as a more complete list of the new features in the update. I’ll also be sure to let you guys know as soon as we’ve determined a more concrete timetable for release. These signs are crafting items that will be available to you from the start of the game. 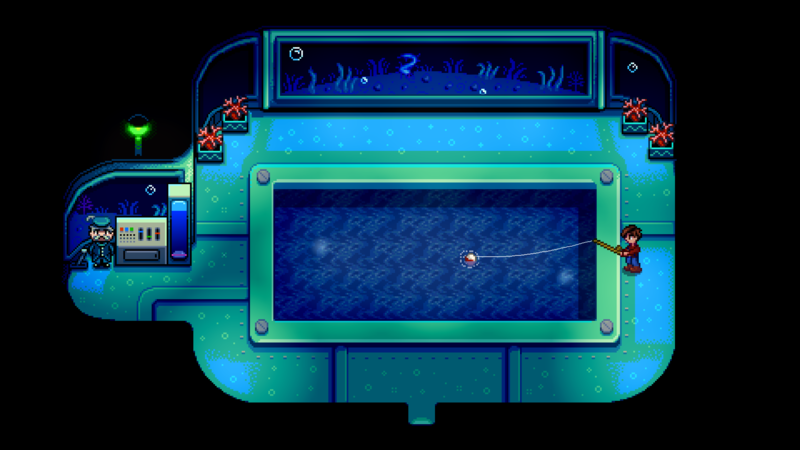 Any item in Stardew Valley can be “clicked” onto them to display. Thanks so much everyone for your patience while we get this update ready. 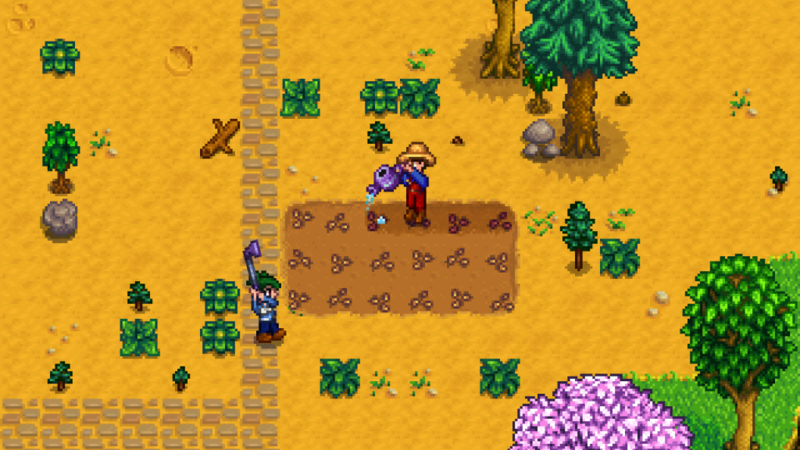 It’s really going to be a “game changer” for Stardew Valley! Big thanks to everyone for their support and patience as we worked to ensure these issues were fixed, and thank you to the players who took the time to send detailed bug reports that helped us to track down and fix these issues! Check below for more detailed patch notes. Not sure if you’ve heard, but uh: Stardew Valley is out on the Nintendo Switch! 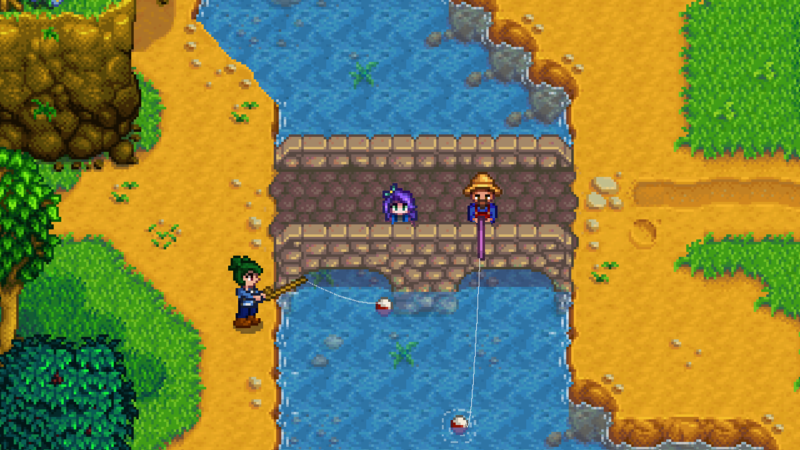 Huge thank you to the developer ConcernedApe, the porting house Sickhead Games, the folks at Nintendo and our very own Tom Coxon for making Stardew Valley on the Switch a thing! I hope you’ve all been harvesting spring crops and having your heart broken at your very first Flower Dance all over again — but portably, this time! We’re sorry for letting these slip through, but we’re investigating and will provide fixes ASAP. Hi everyone! I’m the Chucklefish dev who has been coordinating with Eric on localisation, porting and multiplayer for Stardew Valley over the last year. I’ve previously worked on Starbound (the procedural quest generator was my baby), and I’m also developing Lenna’s Inception, another Chucklefish project, on the side. I’m here with an update for those of you who have been waiting so patiently for news on multiplayer! Now that we’ve pinned down the main technical issues, we know enough to feel confident describing the gameplay you can expect from it. 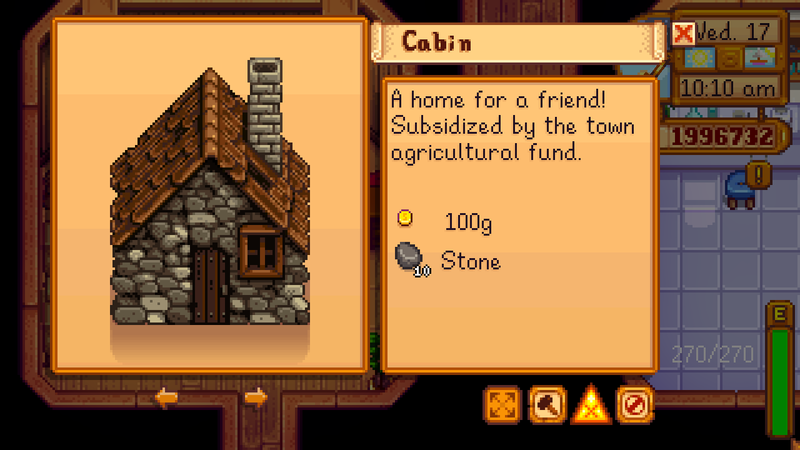 Shortly after you begin the game, Robin will offer to build up to 3 cabins on your farm. Each cabin will house a farmhand, controlled by one of your friends. Farmhands can do almost anything the main player can do. They can farm, mine, fight, fish, forage, marry NPCs and take part in festivals. Each player has their own inventory. When a farmhand is not connected, their inventory can be managed through a chest in their cabin. 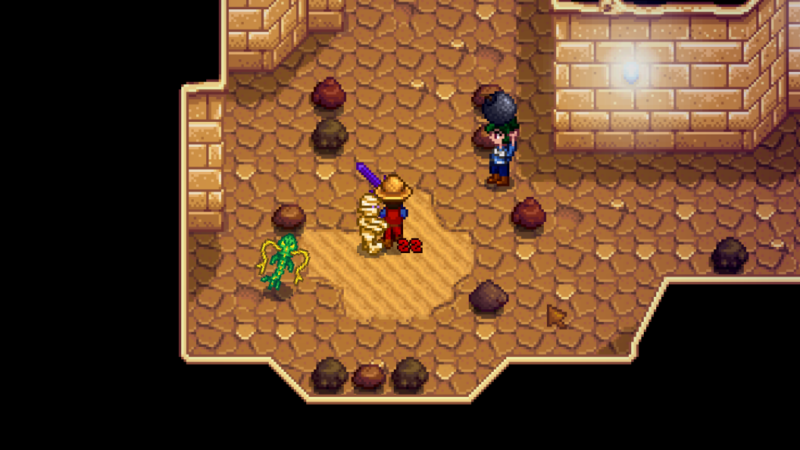 Certain decisions can be made only by the main player: when to sleep, when to start and end festivals, and whether to side with Joja, for instance. You won’t need to set up a server to run multiplayer. Friends can be invited onto the farm through Steam. The invite mechanism for non-Steam versions is TBD, but likely to be similar in most cases. A lot of players have requested player-to-player marriage. It’s an idea we like a lot, and want to make available as a feature. Player-to-player marriage won’t use the mermaid pendant, but rather an alternative method that requires a similar amount of effort to wooing an NPC. We’re still working out what that will be. Local multiplayer, split-screen and PVP are not planned at this point. Effort so far has been focused on overcoming the biggest technical hurdle: synchronising multiple games over the Internet. Almost every source file has been touched, and 15,000 lines of code have been rewritten. Retrofitting multiplayer into a game that didn’t have it originally is notoriously hard. Stardew Valley 1.2 live on Xbox One + Playstation 4! Hey folks! Stardew Valley 1.2 is now available for Xbox One and Playstation 4 players! Stardew Valley is now available to play in seven different languages; English, German, Spanish, Russian, Japanese, Simplified Chinese and Brazilian-Portuguese! While localization is the main feature of this update, 1.2 also includes some controller improvements and important bug fixes. Check the patch notes below! Fixed crashes while loading save files. Stardew Valley 1.2 is out on PC! At long last, Stardew Valley is available to play in seven different languages; English, German, Spanish, Russian, Japanese, Simplified Chinese and Brazilian-Portuguese! While localization is the biggest new feature, 1.2 also includes some controller improvements and important bug fixes. Check the patch notes below! Big thanks to all involved in getting 1.2 ready for release — Playism, Tencent, Sickhead, the community members who provided translation feedback and reports, and to everyone else for waiting so patiently while we worked to improve the quality of translation and stability of the patch! Note: This update is only available on PC at the moment, but an update for consoles is on the way! Steam users should see this update immediately, but it may take a bit for GOG to update.